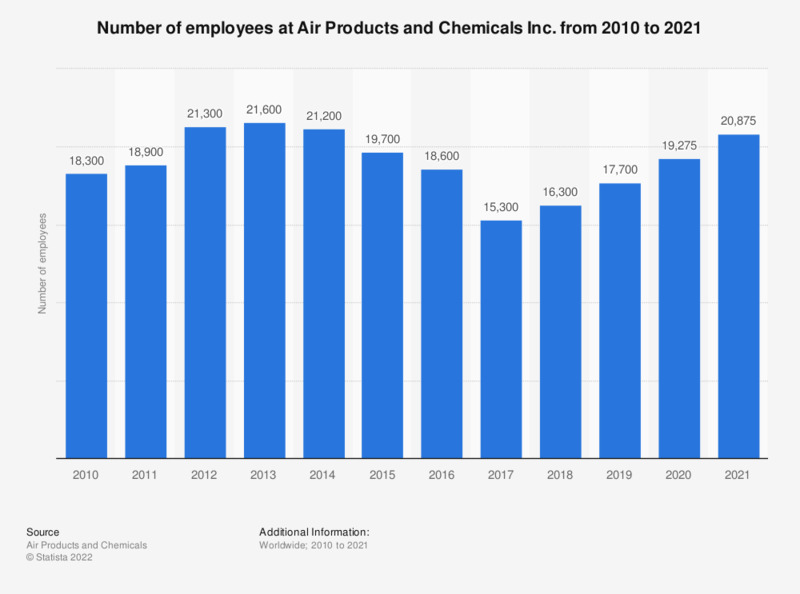 This statistic shows the number of employees working at Air Products and Chemicals from 2007 to 2018. Air Products and Chemicals, Inc. is a United States-based international corporation whose major business is selling gases and chemicals for industrial uses. In 2018, the company employed 16,300 people. * Employees at year end. Includes full- and part-time employees from continuing and discontinued operations.